We believe the book gap is a problem we can solve with broad community involvement. 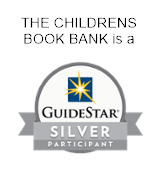 The Children’s Book Bank engages schools, businesses, faith groups, civic groups, individuals, scouts, teams, etc. in collecting and preparing donated books for distribution. Every year we gather tens of thousands new and gently used books from the community through individual donations and book drives; book drives at schools, businesses, places of worship, etc. ; donations from authors; new books purchased to donate and more. The Children’s Book Bank organizes hundreds of volunteers in on-going sessions to prepare donated books for their new homes by erasing scribbles, wiping covers and taping torn pages. We believe that giving children a bundle of books—not just one or two—will increase the likelihood that they will find a book to spark a love of reading and learning. The Children’s Book Bank carefully sorts books to create bundles with a range of age- and skill-appropriate reading levels for each child and with a variety of topics, including books in Spanish for children from Spanish-speaking families and multicultural books for all children, but particularly for those from communities of color. The Children’s Book Bank intentionally partners with organizations that are already providing parent education about reading aloud to young children and supporting literacy development—an essential piece to changing family reading behaviors. We support these existing efforts by ensuring families have lots of books at home to share with their children.